MK Ahmed Tibi submits request to withdraw Arab Renewal Movement from Joint Arab List. MK Ahmad Tibi (Joint Arab List) moved today to split off into a separate faction he represents, Ta'al: Tnu'a Aravit LeHithadshut, or the Arab Renewal Movement. 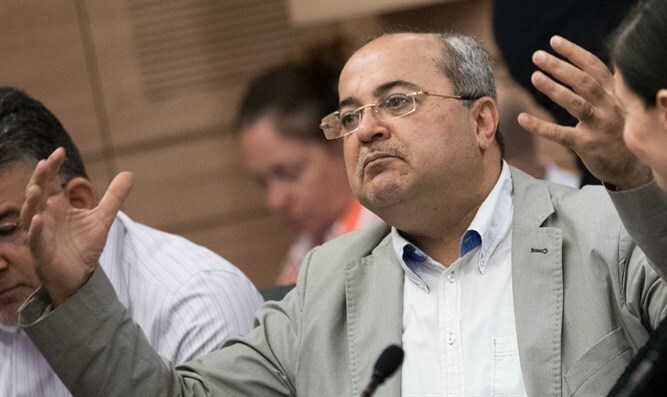 The House Committee is expected to convene this week to approve Tibi's request to leave the Joint List. In a letter to the House Committee, Tibi wrote: "I request approval of the House Committee to dissolve the Joint List, which is a combination of parties according to an agreement submitted to the Chairman of the Central Elections Committee for the Twentieth Knesset, into the Joint List (Hadash, Re'em, Balad) and the Arab Renewal Movement headed by Ahmad Tibi. "In view of the tight timetable, I would appreciate your handling and placing the dissolution request on the Knesset Committee's agenda and set a discussion as soon as possible," MK Tibi wrote in his letter to MK Mickey Zohar. Last Saturday MK Hanin Zoabi also announced she would not run for the 21st Knesset.